Agile Maturity Survey: Is Agile Maturity a Fad, a Trend or the Holy Grail? Agile Maturity Survey: Fad, Trend or Holy Grail? Participate in the anonymous agile maturity survey and help us find out: Is agile maturity a fad, a trend or the holy grail of an agile transition? The preliminary results of the agile maturity survey are in. A total of 86 people participated, and I presented the findings during last week’s Hands-on Agile meetup in Berlin. Links: Join the Hands-on Agile meetup in Berlin and browse the slide-deck on Slideshare. 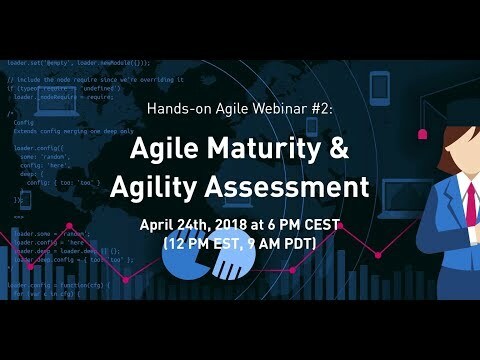 Is There Something Like Agile Maturity? “This was the best sprint we have ever had. We are becoming (more) agile.” Somehow, a sense of progress always seems to be fuzzy notion when it comes to ‘agile.’ And the question at the heart of all of it is always the same: How do we find out that we are ‘agile’ and are not merely practicing a form of cargo cult version of it? To no one’s surprise, the agile world is not exempt from that. What started with the Manifesto for Agile Software Development — four values and twelve principles that fit on a single page —, was followed by the still light-weight Scrum Guide. Today, the caliber of teaching has changed — just have a look the big picture diagram of SAFe® — and even in the agile world, the path to the promised land seems to be meticulously laid out. Which leads to the question: What is the ‘promised land’ in agile terms? Are we all supposed to turn to sociocracy or holacracy? Help us to understand better what the goal of becoming ‘agile’ means for an organization by contributing to this short anonymous survey. It will not take more than five minutes of your valued time. Of course, the results of the survey will be shared at a later stage. The Agile Maturity survey is anonymous. Survey: Agile Maturity – Fad, Trend or Holy Grail?